The pattern for this fair isle sweater is now available to download on Ravelry. 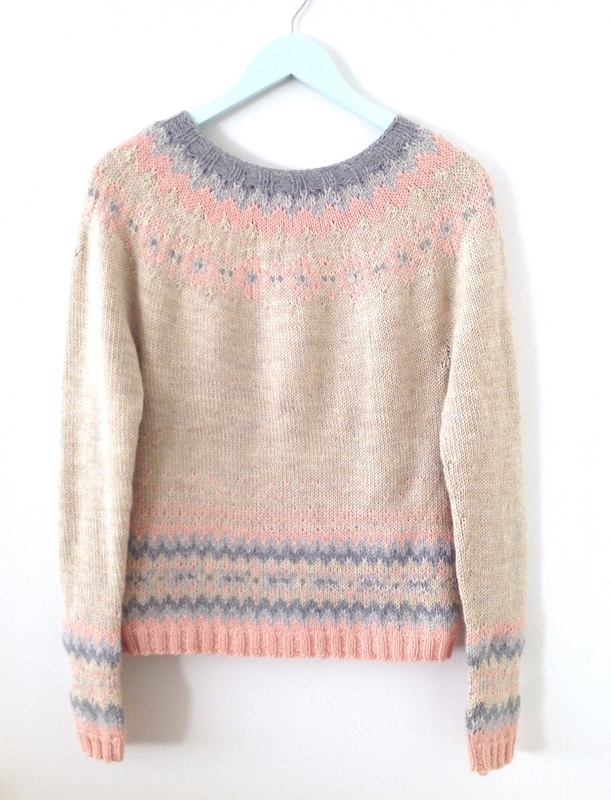 Pattern for the Fluffy Feather Sweater is finally available to download! 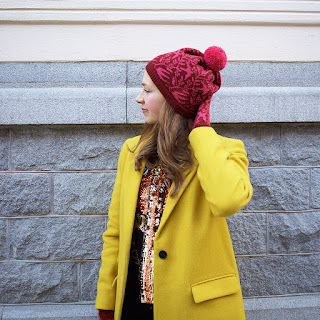 I first posted this sweater here on the blog in beginning of 2015 and have since gotten many requests for the pattern and now it is finally available! These new lovely Lintunen mittens are made out of 100% alpaca and are supersoft and comfy to wear. 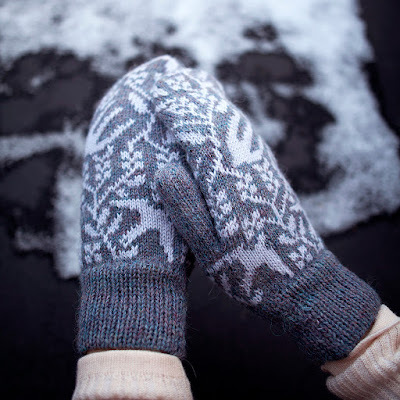 I improved the shape of the design because of some feedback I got from customers that my first mittens felt too big. The way I make these mitens now take almost double the time but I think it is worth the effort, they look and feel much better now. This new line of beanies I call the Bedazzle version of the Lintunen pattern. I have added more colors and embroidered some glass beads and highlighted one bird from the pattern to give the design more texture. I like how one pattern and idea can be transformed into something very different by using more colors and adding small details. Beanie season is coming hooray! The beanie season is approaching and I have been busy in my knit studio working on new stuff for the Kutova KiKa knitwear shop. I am trying out new color combos and patterns, and creating new hang tags, so much fun! 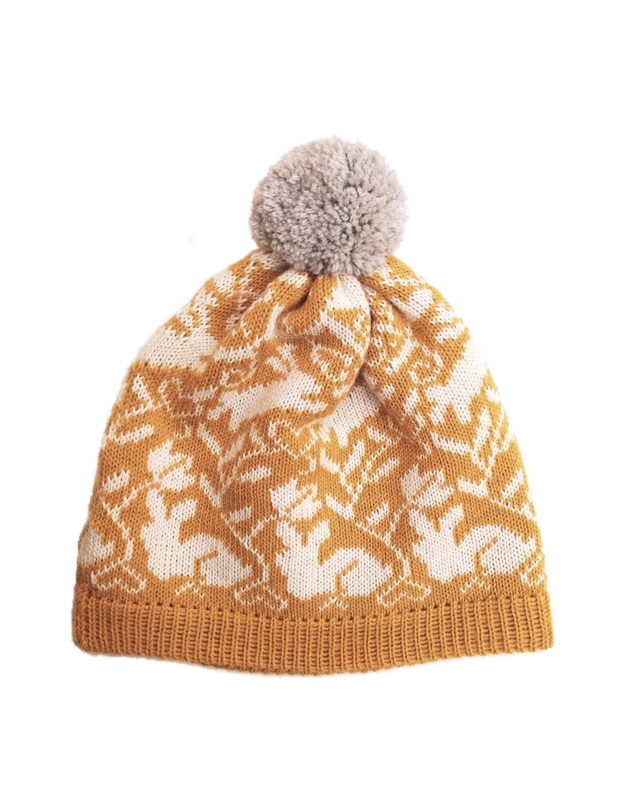 Ah I can´t wait to satart wearing a nice beanie with a fuzzy pompom for Winter! 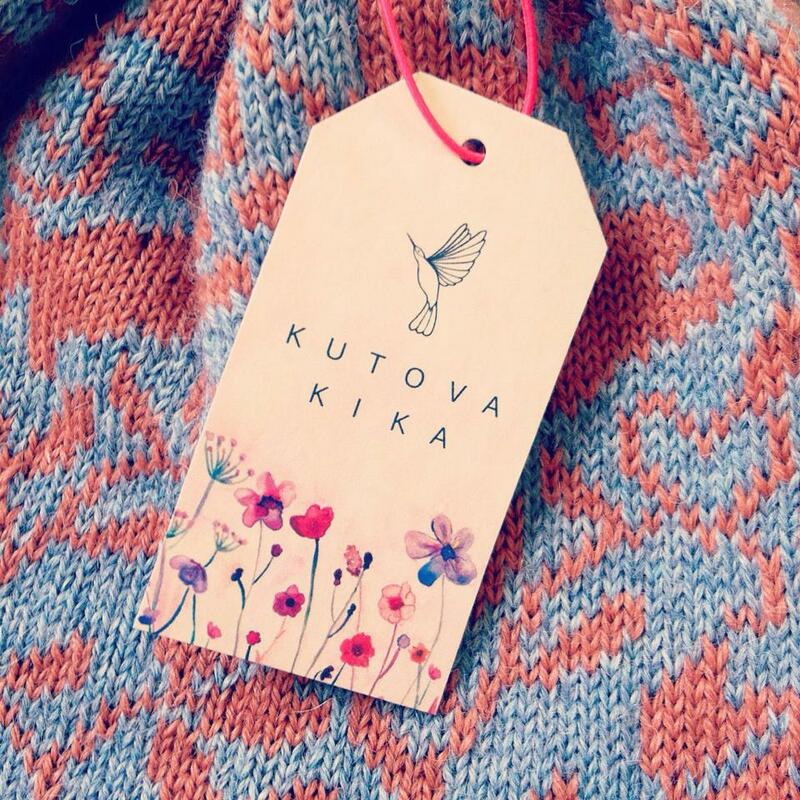 Kutova KiKa knitwear webshop is open! 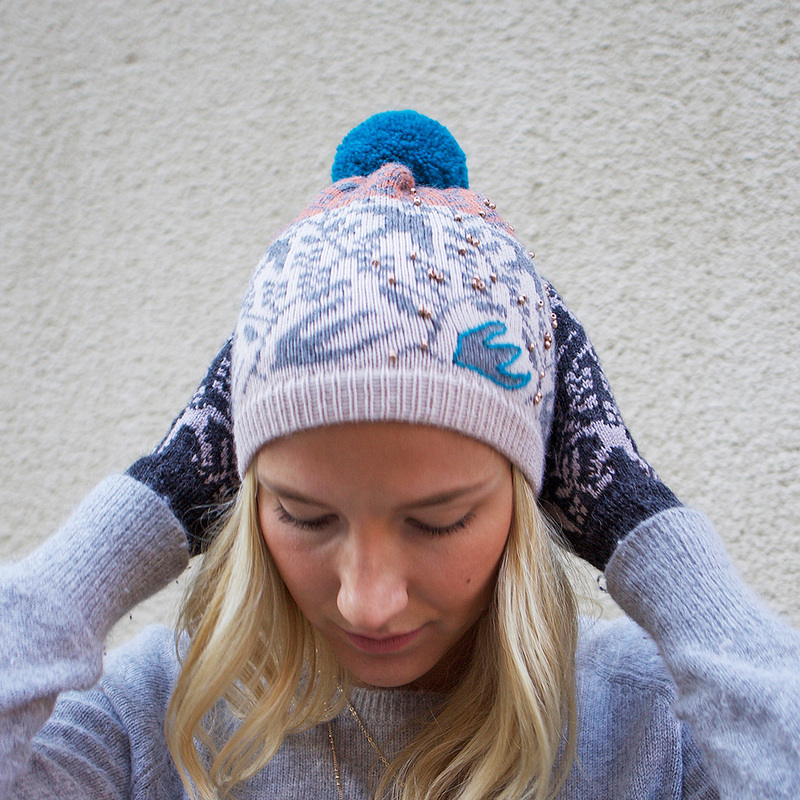 All pieces are designed and hand made by me in my little knit studio in Stockholm. Kutova means Knitting in Finnish and Kika is my childhood nickname, the name Kutova Kika reminds me of how my Grandmother Gulle taught me how to knit when I was a little girl. We would sit out in the cabin in the snow covered Finnish archipelago and knit furry animals with pompom tails and fuzzy manes. All the pieces have delicate details, many in special techniques with crochet and embroidery. 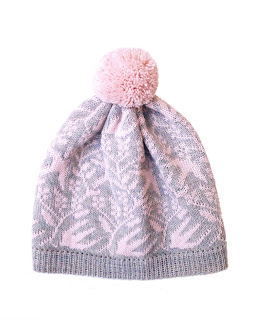 I use the soft alpaca yarn for its warmth, luxuriousness and beautiful natural luster. 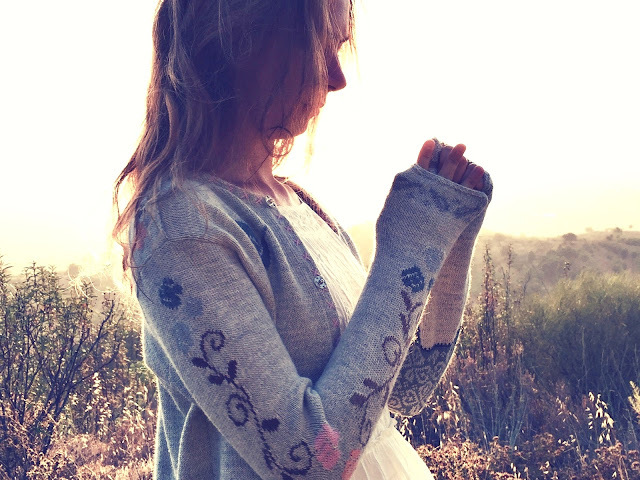 Pattern for the caridgan Ariel is now available! I have gotten many requests to write down the pattern for the cardigan Ariel and can now happily announce that it is ready! 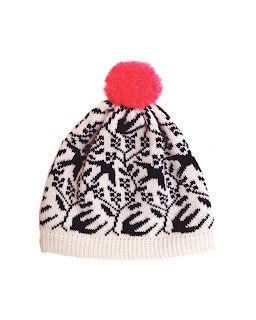 The pattern is available to download on ravelry and etsy, or if you would like to download it straight through my blog it is also possible. The pattern is both in English and Swedish. 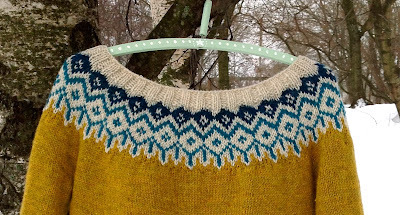 When I was designing the pattern I was inspired by traditional fair isle motifs and wanted to get a playful twist on it by combining different shapes and motifs around the yoke, along the hem and sleeves. The zigzag waves repeat to give the design some coherence and structure. The pattern for Ariel comes with written instructions, drawings and color charts to make it easy to follow. When I was writing down the pattern for Ariel I decided to knit one as a sweater instead of a cardigan. 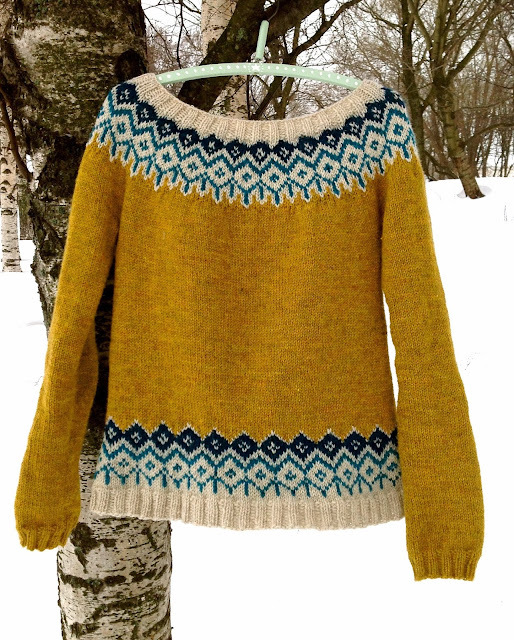 The design works well as a closed design too and motif around the yoke really stands out. For the main color I chose Cascade 220 Peruvian wool in oatmeal color, it is the same yarn that I used in turqois in the cardigan version. The two shades of grey are Garnstudio Drops Nepal which are a bit thicker tha the Cascade yarn but worked very well. The peach color is alpaca yarn that I dyed myself. I am very happy with the result of my Spring take on this design! I will surely be wearing this peachy pie when there is that period between Spring and Summer where there is no more need for a jacket but it is still too chilly to go out without a sweater.